Low form griffin beakers with spout are manufactured with uniform wall thickness to offer optimum balance between thermal shock resistance and mechanical strength. Certifications: Meet ASTM E960 specifications. 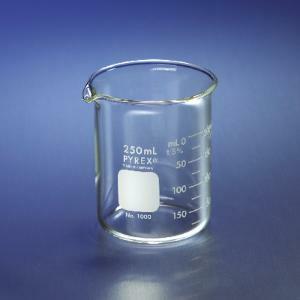 Ordering information: Sizes 250mL and larger have a double graduated metric scale to indicate approximate content. The 10mL size is not graduated. All sizes have an extra large marking spot. 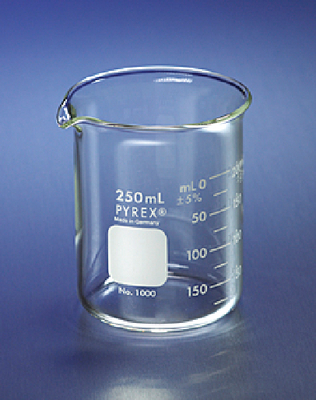 These beakers are made with Type I Class A Low-Expansion Borosilicate Glass, per ASTM E438 (Standard Specification for Glasses in Laboratory Apparatus). The variety pack includes one of each of the following beakers: 50mL, 100mL, 250mL, 600mL, and 1000mL.